So the OH and I hopped onto the Eurostar this week and before we knew it were in sunny Paris which was the perfect city for some foodie adventures. In this post I will give you a run down of some of the highlights of the trip followed by some very special French inspired recipes. We set out and gave ourselves some foodie challenges to complete whilst we were there so with this in mind off we went in search of some traditional dishes. My first challenge came in La Patache in the form of steak ‘a point’ (very rare by Enlgish standards). This intimate, candlelit restaurant is fantastic for fully fledged carnivores but think twice before taking any vegetarian friends for dinner there! Each table is set with a steak knife which gives the game away as to what is on the menu. You won’t find this gem in the guide books so make a note! I pushed the boat out with a mixed grill consisting of succulent pork belly, a golden poussin and fillet steak. I have never tasted steak like it! The meat melted away and before I knew it I had managed to demolish it, much to the disappointment of my dinner partner (don’t worry, he did have a small bite!). If you want to experience the Canal St Martin area like a local then this bar is the perfect choice. It is a popular choice for people to meet and while away the evening whilst tucking into irresistible platters and terrines. 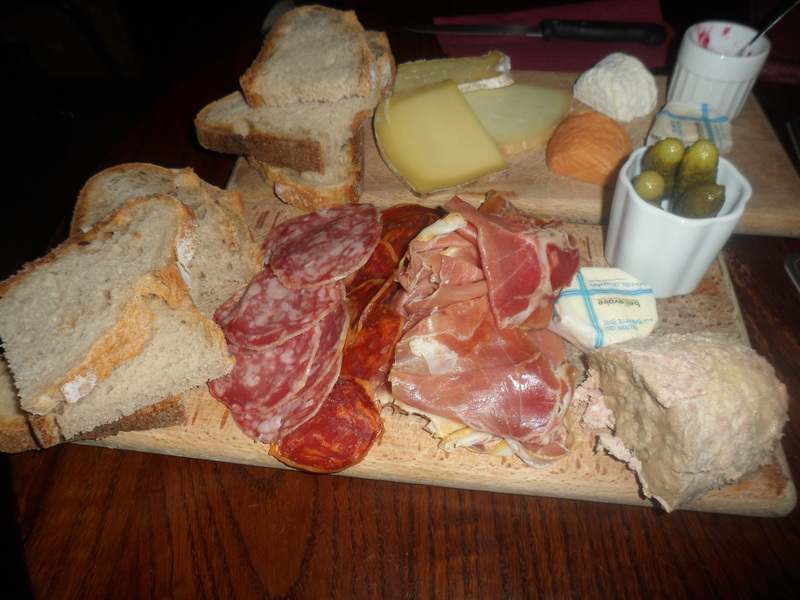 In our week away La Patache became a firm favourite and we revisited the bar next door on our last night to eat our weight in charcuterie and fromage. A range of local speciality cheeses and meats was served alongside guinea fowl terrine, fresh bread, cournichons and pickled samphire (note to self: I must make this). This was a platter I didn’t want to finish- I wonder if I could invent a never ending meal?! So after my foray into and triumph with rare steak it was my OH’s turn to test his tastebuds at La Marmite in Pigalle. For those who aren’t familiar with andouillette which is a ‘very special’ (the words of the waiter!) type of sausage originating from Lyon. Andouillette is unlike any other sausage you have had before so don’t go thinking that this would be perfect to serve with a pile of mashed potato! It’s a chitterling sausage with a unique aroma and taste… I’ll say no more… perhaps have a Google! It certainly was an experience! This was definitely a time where I ordered more sensibly compared to OH and I happily tucked into duck confit which I will certainly be recreating! 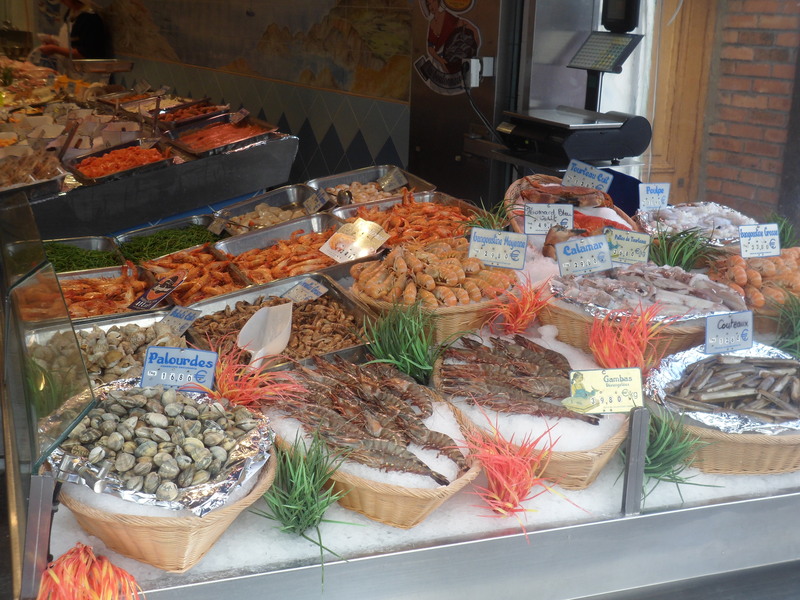 Apart from probably gaining a dress size after eating a range of local foods we headed out to explore the food markets in Bastille, Rue de Mouffetard and Marche des Entrants Rouges. 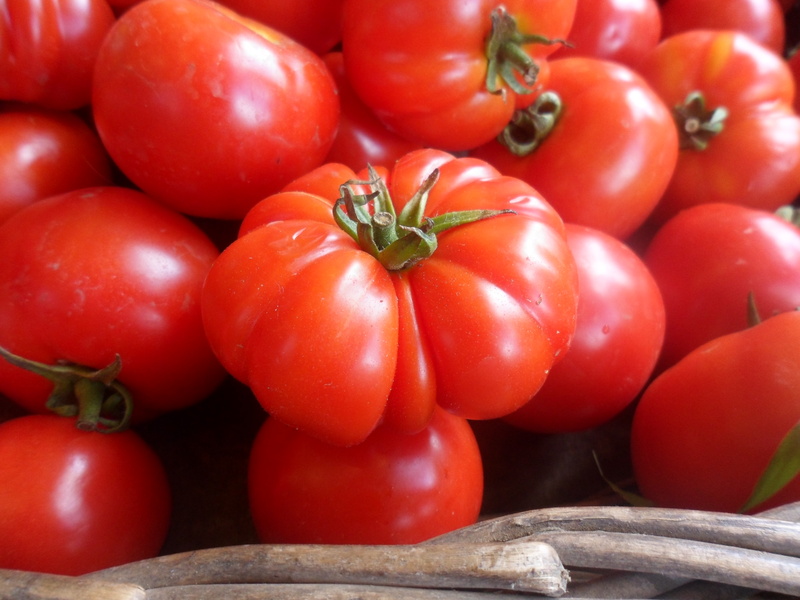 If you only have time to visit one of the markets then make it Bastille and immerse yourself in the world of fresh produce alongside the locals. It also happens to be the biggest market in the city so it’s a perfect place to stop off in between the sightseeing- it’s hungry work after all!There is no other way to describe the markets other than heavenly, although I do get very excited by these things in life! 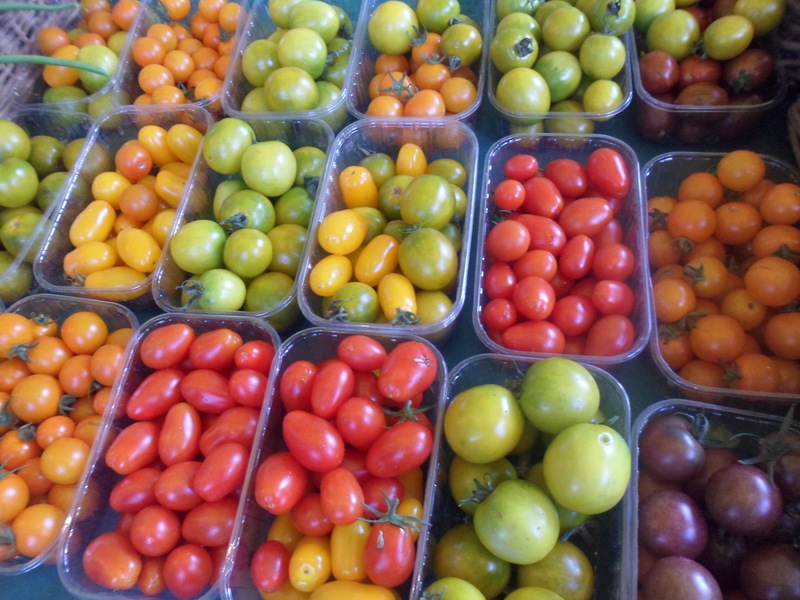 Feast your eyes on these…. 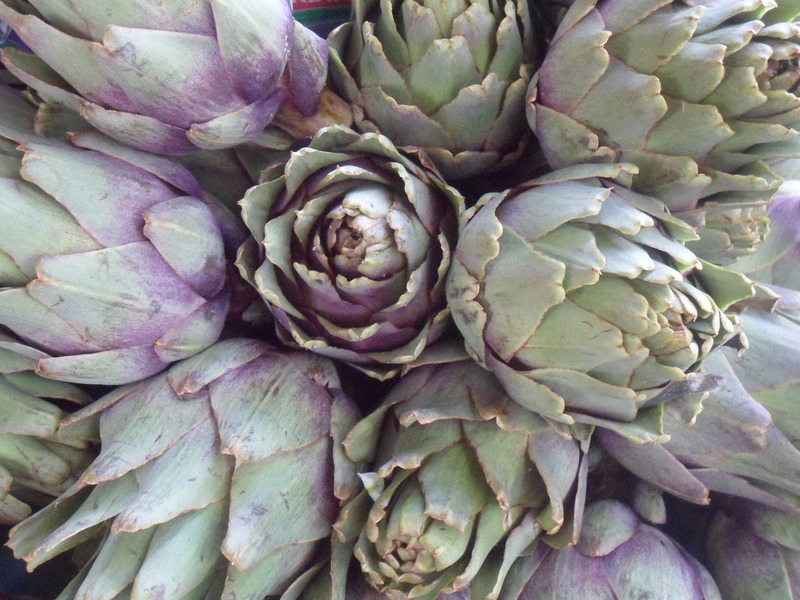 An array of fragrant, sweet artichokes- perfect for stuffing with a good cheese and ham! An abundance of delicate seafood. 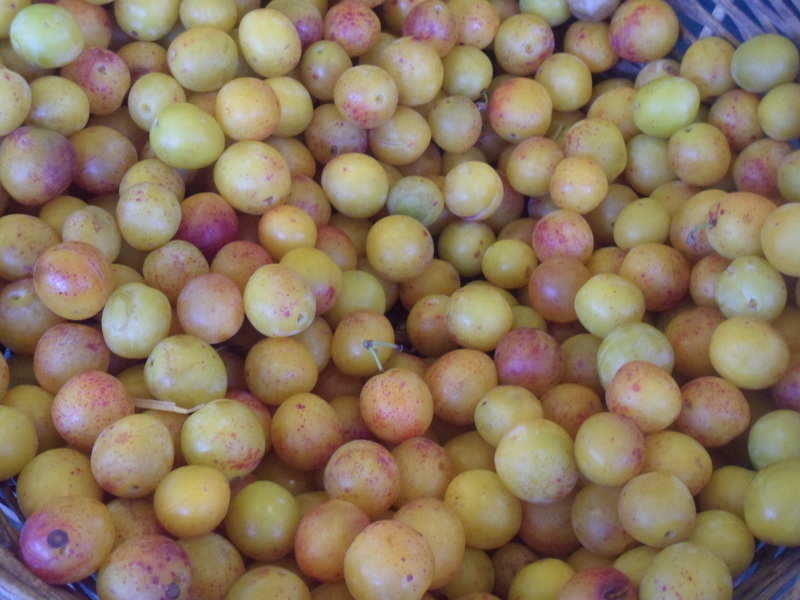 New season Mirabelle plums ripe for the picking. And last but not least, moreish macaroons. Do as we did and play a game of guess the flavour to test your tastebuds! This market trawling is thirsty work so it may be handy to know of some good, solid bars to have a light refreshment or two. We found that beers can be relatively pricey in Paris however with some research (and sometimes luck) you can stumble across bars with good deals in happy hour (although this was never confined to just the one hour!) and enjoy a spot of people watching. We found The Wall (a Pink Floyd reference)and The River Pub in the Latin Quarter and would recommend them for a stripped back feel. We also stumbled across a Scottish pub, The Pure Malt, and thought it would be rude not to support a fellow Brit! If you’re a fan of whiskies then this is one for you! We discovered that Parisian bars often refer to their house lagers as ‘cheap beer’ but be warned that they will rarely advertise the strength of it so it is always worth checking although the obligatory bar snacks which are on offer free do go some way to soak it up! So there we have it, my foodie adventures are over until next time. Next up: Brussels…..